Like any good day out with kids, preparation is key. 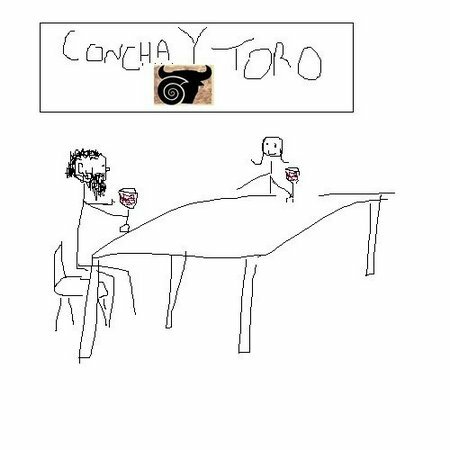 For a day wine-tasting you need to think of your kids first and the wines you want to taste second. It’s a small trade, if you can keep them happy, you’ll be happy and you’ll have more time to taste wine. What’s not to love? The first thing I do in preparing for a day cycling and wine-tasting is to choose a bike route. I look at the terrain (flat, hilly? ), the number of wineries to choose from along various route options and the overall distance. I try to be realistic about my kid’s abilities. I get to taste wine so I’m winning all around here, there’s no need for me to push them too far. I also think about food and water. Do we need to bring a day’s supplies with us or can we buy along the route? Just like hiking, dried fruit and granola are great to have in plentiful supply. Since most wine-growing regions are warm and sunny treats like chocolate melt easily so I pack chocolate-chip cookies instead. After I choose an overall cycle route then I get down to the very important business of choosing which wineries to visit. Some wineries do advertise as being family-friendly but for our recent trip to Napa I didn’t get a chance to research these before we arrived. 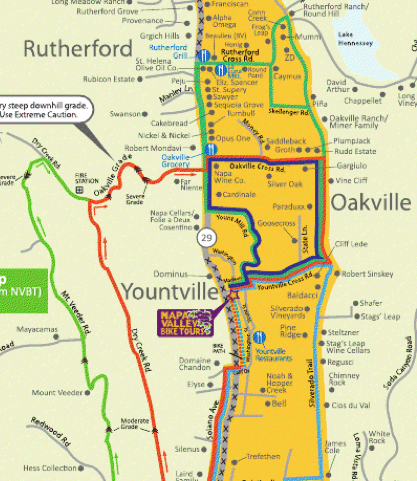 Instead, I opted for a common-sense approach: wineries should be fairly evenly spaced out on the route so the kids won’t get too tired between stops and there should be space – gardens or a picnic-area – where the kids can hang out while we were tasting. I match these criteria with interesting wine, for example a well-respected winery that only sells its’ wine onsite for example. Cakebread offers cooking classes onsite. I wanted to find out more about this because CAM loves to cook and I could see us returning to Napa for a wine-tasting and cooking experience. Peju only sells their wines at the winery. It has beautiful gardens with many art installations. It was also at about the half-way point in our route. The Round Pond Estate makes wines and olive oils. This seemed like a good choice as a place where the kids could stretch their legs and they could join us in olive oil and cheese tasting for a post-lunch snack. Rutherford Ranch offers wine tastings with chocolate. Need I say more? As it turned out, Rutherford also has a large air-conditioned tasting room with comfy sofas which the boys really appreciated. 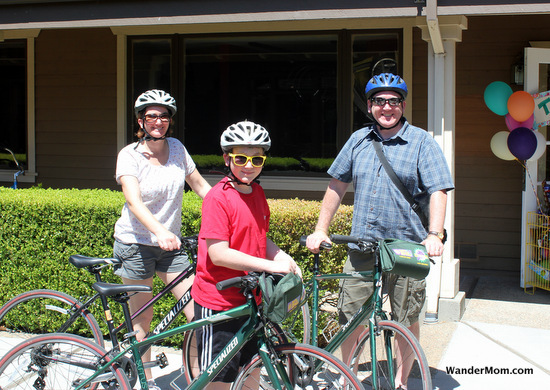 Check back tomorrow for specific advice on a successful day wine-tasting with kids on bikes provided by Napa Valley Bike Tours. This post was inspired by my recent stay at the Westin Verasa, provided by Starwood Hotels as part of the Starwood Hotels LoveYourFamily package. Our bike rentals for our day cycling and wine-tasting were provided by Napa Valley Bike Tours. This entry was posted in Activities And Adventures and tagged Cycling, Napa, Wine, Wine tasting on August 27, 2012 by wandermom. 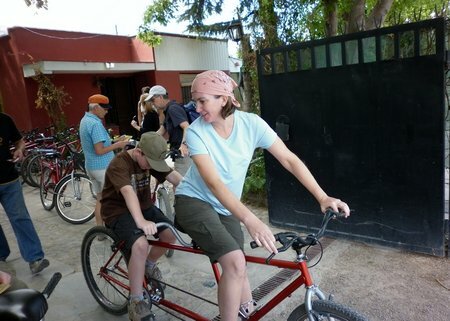 Cycling to wineries is a fun day out for parents and kids. 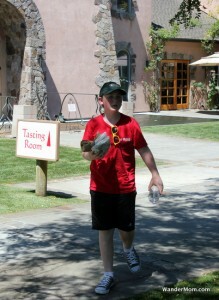 Cycling means you get to visit less wineries but it’s a great active day even with little kids. 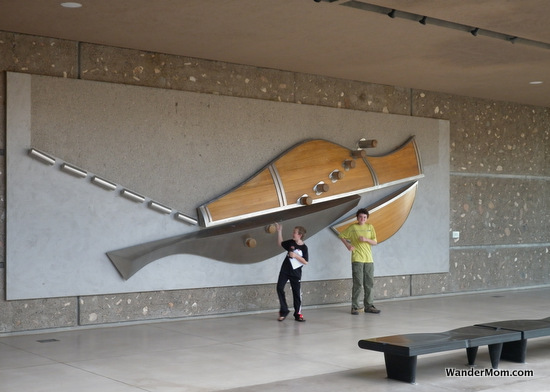 Many wineries are beautiful buildings with sizable art installations but the art is typically outdoors providing ample opportunities for goofy kid-art-posing. Although you may not like to think of it when you raise a glass of your favorite wine, viticulture is a science. 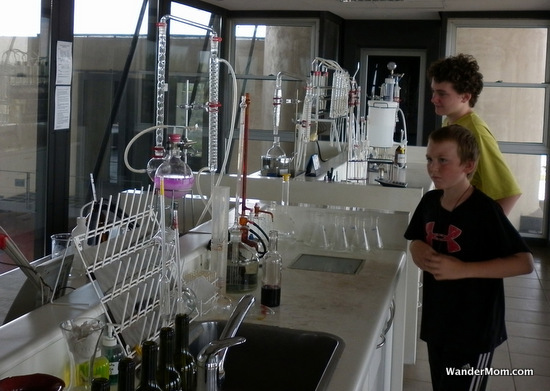 Most winery tours do not include the laboratory which is a pity because this one was a real crowd-pleaser. If you bring your kids to enough wineries, they may, at the grand old age of 14, be ready to give a little speech on why old vines are better than young ones. Wine-Making At Dunham Cellars from wandermom on Vimeo. Or this kid-view of the wine-pressing (warning, this is an unedited kid video). This post was inspired by my recent stay at the Westin Verasa, provided by Starwood Hotels as part of the Starwood Hotels LoveYourFamily package. This entry was posted in Activities And Adventures and tagged Wine, Wine tasting on August 21, 2012 by wandermom. Reminder: There’s only five days left to enter my awesome Lands’ End Kids Winter Outerwear giveaway. Tell your friends! This entry was posted in Activities And Adventures, Exploring North America and tagged Dunham Cellars, Walla Walla, Washington, Wine, Wine tasting on October 27, 2009 by wandermom.